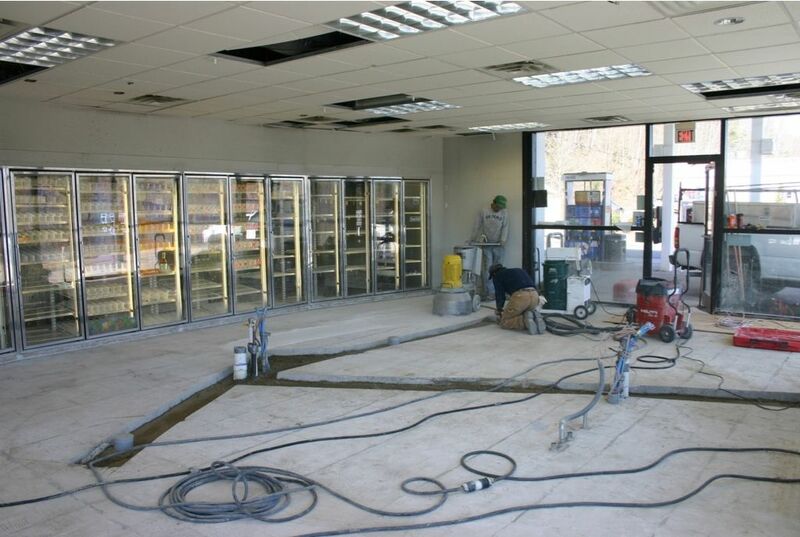 Floor preparation in progress using our dustless diamond grinding system. 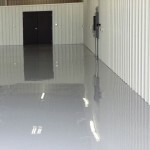 The primer has been applied and the floor is ready for the next coats. 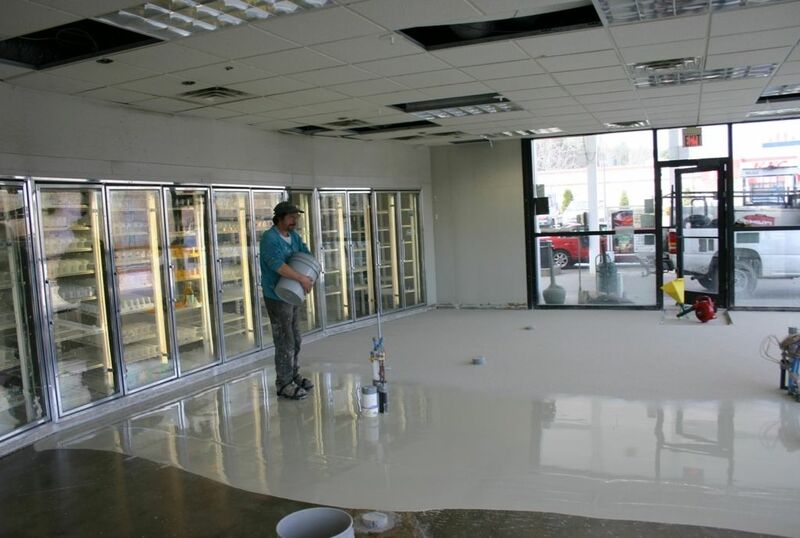 Application of the decorative quartz broadcast into the wet flooring material. 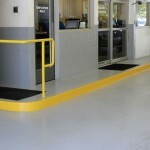 Finished floor is attractive, cleanable, anti-skid, and will give many years of service in this high traffic environment. 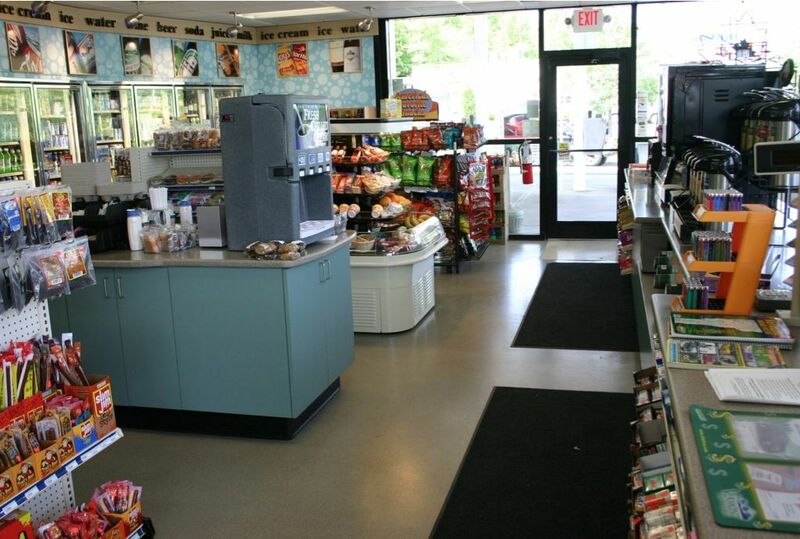 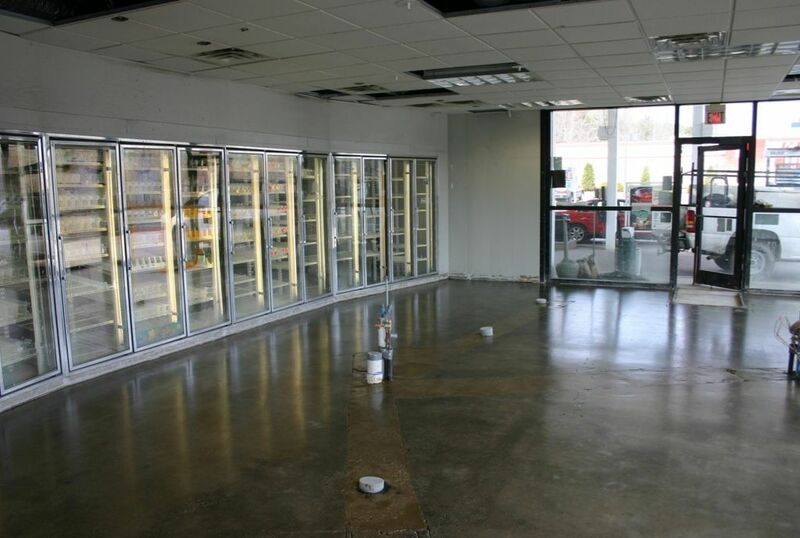 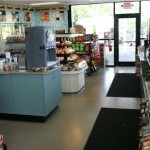 The owner of this convenience store undertook a full rehab of the store. 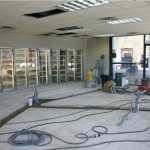 The schedule was very important as the owner wanted to get back in operation as soon as possible. 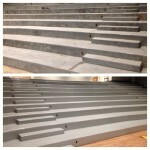 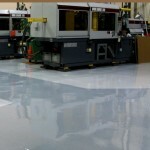 We used an MMA flooring system on this project to minimize downtime. 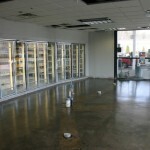 Each coat cures in only one hour so a full multi-coat flooring system can be installed in one or two days.